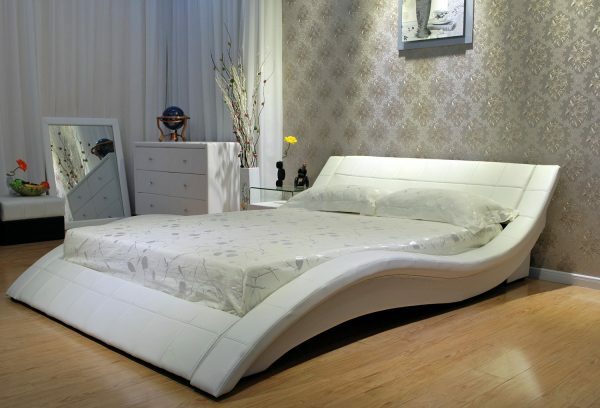 This wave collection upholstered bed is a one of a kind addition to any contemporary bed. Constructed of bonded leather this bed comes with slats and does not need for bunkey board or box spring. Bedding and mattress are not included. This modern bed comes in black or dark brown.